Hope you'll join in the conversation there! 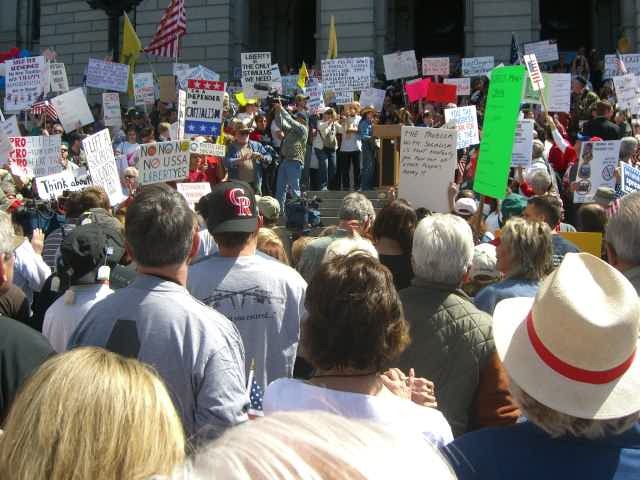 The deadline for affiliating as GOP or Dem to vote in the March 16 caucus is January 19. Wouldn't you think we'd be seeing something about this in the newspapers or at least on the Secretary of State website? With their feet and their purchases, individual consumers are revolting. Scholars have started to call this trend, “brand avoidance,” as consumers worried about the larger social and economic impact of brands on society look for other options, even if those options cost a bit more. In growing numbers, buyers are choosing the local over the brand, the farmers market over the supermarket, the Main Street strip over the mall. Same with coffee. While Starbucks closed down outlets in 2008, citing the New Recession as the cause, independent coffee houses, the Seattle Times noted, brought in new customers and they didn’t cut prices. Over the last few years, in fact, the number of independent coffee houses in the U.S. has jumped past the number of chain store outlets, and now represent 54 percent of the coffee market. In the early 90s I hosted a weekly business radio show in Denver, Colorado. To promote the show I distributed a free newsletter to libraries, bookstores, coffee shops, etc. SB stores wouldn’t allow my newsletter. SB had a policy of only distributing SB printed material, and they had no bulletin boards for community information. This really grated on me. Coffee shops have always been community hubs for the dissemination of newsletters, posters about events, etc. The SB policy may have loosened slightly, but SB and the other chain outlets are a far cry from the community coffee shops that were so important to the healthy growth of this country. The great good places, as one writer has called them, have been disappearing. Is there a revival taking place? I hope so. "Thousands of geniuses live and die undiscovered — either by themselves or by others. But for the Civil War, Lincoln and Grant and Sherman and Sheridan would not have been discovered, nor have risen into notice. ... I have touched upon this matter in a small book which I wrote a generation ago and which I have not published as yet — Captain Stormfield's Visit to Heaven. When Stormfield arrived in heaven he ... was told that ... a shoemaker ... was the most prodigious military genius the planet had ever produced." Twain himself patented three inventions, including an "Improvement in Adjustable and Detachable Straps for Garments" (to replace suspenders) and a history trivia game.Most commercially successful was a self-pasting scrapbook; a dried adhesive on the pages only needed to be moistened before use. 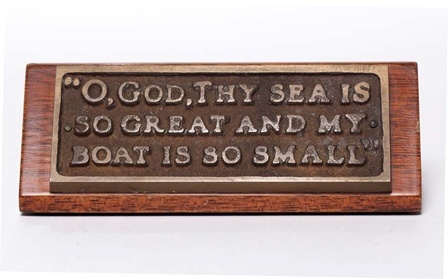 Twain made a substantial amount of money through his writing, but he squandered much of it in bad investments, mostly in new inventions, particularly the Paige typesetting machine. It was a beautifully engineered mechanical marvel that amazed viewers when it worked, but was prone to breakdowns. Twain spent the enormous sum of $300,000 (equivalent to almost $7,000,000 today) on it, but before it could be perfected, it was made obsolete by the Linotype. He lost not only the bulk of his book profits but also a large portion of the inheritance of his wife. (Today, Sun, Nov 29) is the birthday of C.S. Lewis, (books by this author) born Clive Staples Lewis in Belfast (1898). He's best known probably for The Chronicles of Narnia, a seven-volume series of children's books. The first in the series, The Lion, the Witch and the Wardrobe (1950), begins: "Once there were four children whose names were Peter, Susan, Edmund and Lucy. This story is about something that happened to them when they were sent away from London during the war because of the air-raids." C.S. Lewis is well known also for his essays on Christianity. He'd been baptized and raised Anglican (in the Church of Ireland), became atheist as a teenager, then a theist in his 20s, and then, in his early 30s, he converted wholeheartedly to Christianity. His great many religious writings include Mere Christianity (1952), based on theological talks he gave on the BBC during World War II; The Screwtape Letters, a novel of letters from a demon to his nephew (1942); and the allegorical novel The Great Divorce (1945), in which dwellers of hell ride a bus up to heaven. In an essay called "Is Theology Poetry?" he wrote: "I believe in Christianity as I believe that the sun has risen. Not only because I see it, but because by it I see everything else." He taught English and medieval literature for three decades at Oxford University, where he was good friends with The Lord of the Rings author J.R.R. Tolkien. C.S. Lewis died a week shy of his 65th birthday in Oxford, England, the same day that John F. Kennedy was assassinated in Dallas, Texas. He said, "Love is something more stern and splendid than mere kindness." C. S. Lewis's life had a profound impact on me and at least one of my friends. I bought a biography of Lewis and gave it to the friend, who was going through Denver on vacation, before I'd read it myself. Later I did read it and wondered if I'd done the right thing; the story was not light vacation-type reading. My friend called me years later and said, "I wanted you to know I never read that book you gave me until just a few days ago. I took it down from the shelf recently, and was blown away by it. I just got back from talking with the Pastor at my church here, and I've given my life to Christ." 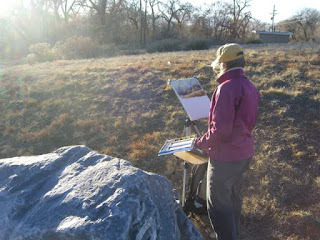 I just confirmed Wendy Norris (photo to left) will be with us this afternoon at the Denver IDEA Cafe. Wendy was the managing editor of the Colorado Independent, one of the first online newspapers in the country. She currently has a Knight Foundation grant and is researching new media. She'll share her startup experience and her perspective on the entrepreneurial opportunities that are available for journalists. There is an item about the meeting in the Denver Daily News today on p. 5, take a look, then pass it along to a friend. More info and RSVP at http://meetup.com/Denver-IDEA-Cafe. We have a great speaker tomorrow (Friday, Oct 9) at the Denver IDEA Cafe. Wendy Norris is one of the most knowledgeable and experienced journalists in the country regarding new media. If you or someone you know wants to turn your talent for writing and reporting into a business, join us! http://meetup.com/Denver-IDEA-Cafe. I'm meeting with Scott Heiferman, the founder of meetup.com tonight (Thursday, Oct 8). Watch for improvements in my meetup.com groups as a result of our meeting! Rocky Mountain Inventors Association http://rminventor.org has asked me to be their Executive Director. If you already have experience with the group, or if you'd like to become involved, please contact me. University of Colorado Prof Speaks to Denver IDEA Cafe October 23. Oct 9: Reporter, editor and entrepreneur Wendy Norris linkedin.com/in/wendynorris on journalism and her startup experience. Oct 16: Author Joe Clark www.CommonSenseRetirement.com, a former Texas State Trooper, Joe owned a private investigation company for 15 years, now consults with people who are turning 65 about their retirement choices. Oct 23: J. Brad Bernthal, Associate Clinical Professor of Law, Technology Policy, Entrepreneurial Law, University of Colorado Law School. Brad leads the Entrepreneurial Law Clinic (LAWS 7619) and the Samuelson-Glushko Technology Law & Policy Clinic (LAWS 7809). In addition to his clinical instruction, Brad teaches doctrinal courses in the areas of telecom policy, spectrum management, and entrepreneurial finance. DENVER— Franklin Circle Denver Open Group, each Friday, 3:45 p.m. at Panera Bread, 1330 Grant, Denver. Free. 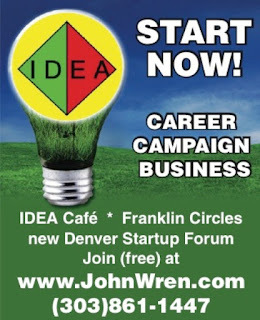 More information and RSVP at http://meetup.com/Franklin-Circle-Denver-Open or contact John Wren at (303)861-1447 or John@JohnWren.com. In 1727, young Ben Franklin formed a group in Philadelphia for “the purpose of mutual improvement” as he puts it in his famous Autobiography. In 1996, inspired by Franklin, entrepreneur and long-time community activist John Wren formed the first Franklin Circle here in Denver, and he’s now actively working to spread the concept. Each group is autonomous, and those who are interested are invited to attend one of Wren’s free meetings. Help is then available to start or join a free or tuition-based group. It was a great day. I connected with old friends, made a few new ones, and got a lot to think about that will be influencing the topics for discussion for the next several weeks! More here tomorrow morning about what's new on campus. Is this true for all writing? Will we ever know the true value of a Twitter or a blog post in this life? INVENTORS, INNOVATORS, AND ENTREPRENEURS INVITED. This Friday, Oct 2: Inventors day at the IDEA Cafe. 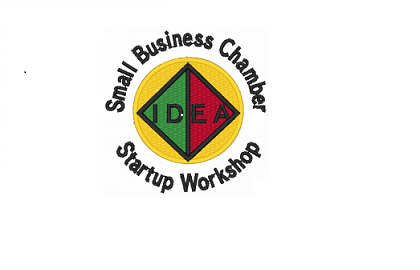 Speakers are both board members of the Rocky Mountain Inventors Association (RMIA). Patent Attorney Roger Jackson www.RogerJacksonEsquire.com is President of the RMIA; and Past President of the RMIA and President & CEO of Innovative Consulting Group Bonnie Kaake www.bizconsult.com. John Wren was recently elected Executive Director of the RMIA by its board of directors. “We help people who aren’t sure what they are going to do Monday morning to find their own path,” says entrepreneur and long time community-activist John Wren, the founder of the group. Wren says the name IDEA Cafe name comes from a four-step business creativity model he developed when he was Mountain Bell in the 70's. Last call for my book? My little book Daring Mighty Things-- The Simplest Way to Start Your First (or Next) New Business is still available on this site (look <--- to the left) but this may change. Also, my consulting services continue to be available for now, and that is subject to change. Depends on how final negotiations go with the RMIA board. So if you want the little book and some of my time, act now! Is the Franklin Circle the ultimate "happiness board"? "Create a personal happiness board-- a group of people who care about you and your well-being, and who will hold you accountable to the ultimate currency (happiness). Ask your board members to keep track of your commitments and ensure that you follow through on them. Meet regularly to discuss your progress, where you have made significant improvements, where you would like to put more effort, or where you would like to change course. "Following up on our commitments and goals isn't easy. It takes time for a practice to become a habit, a ritual-- and therefore most efforts at change ultimately fail. Change of any sort-- be it starting an exercise regime, overcoming procrastination, or getting to spend more time with our family-- is more likely to last when we enjoy the support of others. "In addition to creating your own happiness board, become a member of other people's boards (you may have one small group, in which you serve on one another's boards). By doing so, you will be helping them as well as yourself: by holding others accountable to the ultimate currency and reminding them to pursue meaningful and pleasurable activities, you will be indirectly strengthening your commitment to your own happiness." When I'm upset with someone if I stop and think about it my upset is the result of either: 1) Me projecting my faults onto that person (this is why we teach what we most need to know, like me writing this to you now); 2) Truth the person is telling me I just don't want to hear; 3) Unrealistic expectations of mine; or 4) Unresolved conflicts in the past the other person is taking out on a safe target (me), they aren't doing it to me, they are just doing it. Who are you upset with right now? Can you see one of these four reasons behind your emotion? This should be worth listening to Wednesday. If you are among those huge hordes of people who have always wanted to hear my voice, you may like to know that, through the magic of modern technology, you will soon be able to do so – and it won’t cost you anything! I am going to be interviewed on a local Santa Barbara radio station which now “streams” its signal so that anyone anywhere in the world with access to the Internet can pick it up, live and direct. The interviewer is a local radio personality named “Baron” Ron Herron. I have been on his show before, but this “streaming” capability is something new, and we are interested to see how far the program may reach. It’s a “call-in," so (in theory at least) you can actually talk to me while I am on the air, and you and I will both be heard by everyone tuned in. If there is anything in particular you'd like to hear me say or do on the air, please let me know now by email. Go down the right-hand column to the section headed “News-Press.” In that section you will see six small boxes, 2 rows of 3. Click anywhere in that box. The sound should then come up, but may take some seconds before you hear it. The most successful people are lifelong learners; they constantly ask questions and never cease to explore the wonder-filled world around them. Regardless of where you are in life-- whether you are fifteen or a hundred and fiftenn, whether you are going through a rough patch or are thriving-- create an education program for yourself. Your program can include the following two catagories: personal development and professinal development. Under each category, commit to learning material that will yield both preent benefit (that you enjoy reading and thinking about) as well as future benefit (that will contribute to your overall growth). Ritualize your program by putting aside regular times each week for your education. Tal Ben-Shahar, Happier-- Learn the Secrets to Daily Joy and Lasting Fulfillment. p. 95. Another group that I've found helpful is Socrates Cafe. I've been leading the Thursday evening group that meets at Trinity Church, but I've had to resign because of conflicts with my new job as Executive Director of the Rocky Mountain Inventors Association. John Hart has agreed to take it on, and I'm sure he will do a great job. I'll be at the RMIA Denver meeting next Thursday evening, thanks John! Looking at yourself, are you more connected with others in groups like these now than you were September 11, 2001? I certainly am, maybe to a fault. What is the effect of online social networking such as Facebook and Twitter? Are they bringing us together or drawing us into even deeper isolation? What are you finding helpful right now? What encourages you to be a lifelong learner? Does reading this and posting a comment here help you right now? I'd be very interested in your thoughts on this. When you have a few minutes, read back through posts here since September 11, 2009 when I started to attempt this online dialog. Does this have the potential of being helpful to you? If so, let me know and I'll continue. If not, this next week will probably be my last with you here online each morning. But you are not to be called rabbi, for you have one teacher, and you are all bretheren. You can get someone to teach you things mechanical or scientific or mathmatical. But in things that really matter, life, love, reality, God, no one can teach you a thing...So put your books and formulas aside; dare to abandon your teacher whoever your teacher may be and see things for yourself. Dare to look at everything around you without fear and without formula and it won't be long before you see. A nurse told me that nurses are taught how to keep learning new procedures: watch one, do one, teach one. The best way to find the combination for a lock is to have someone write it on a slip of paper for you. But other things just aren't that way. I went to a conference about the future of newspapers here in Denver last night. There are a lot of reporters and editors waiting for their next assignment. God bless my Aunt Opal, who is being buried today in Amarillo, Texas. "It is difficult/ to get the news from poems,/ yet men die miserably every day/ for lack/ of what is found there." William Carlos Williams, born this date in Rutherford, New Jersey (1883). Love is to be found only in fearlessness and freedom. How do you achieve this freedom? By means of a two-pronged attack on your dependency and slavery. First, awareness. It is next to impossible to be dependent, to be a slave, when one constantly observes the folly of one's dependence. But awareness may not be enough for a person whose addiction is people. You must cultivate activities that you love. You must discover work that you do, not for its utility, but for itself. DENVER, CO - John S. Wren, MBA has been elected the Executive Director of the Rocky Mountain Inventors Association (www.rminventor.org) by the RMIA Board of Directors. John Wren (www.JohnWren.com , 720-495-4949) is a graduate of the University of Denver (BA’69, MBA ’79), where he was President of the Graduate Student Association. He is also the past President of the Denver City Club, the Rocky Mountain Direct Marketing Association, and the Metro South Denver Optimists Club. He has served on the board of directors of the Denver Lions Club and 1311 York Street Club. Past employment includes: Secretary/ Treasurer, Western Merchants Wholesale Company; Assistant-to-the-President, Outdoor Sports Industries; Telemarketing Manager, Mountain Bell Telephone Company; owner, Wren Marketing Corporation; Marketing, Director for the Denver Symphony Orchestra; Business Analyst, George S. May Company; and Sales Manager, Villager Newspapers and Sentinel Newspapers. He now does business consulting and he manages the IDEA Cafe/ Franklin Circles, which will continue. The RMIA, formed in 1978 as the Rocky Mountain Inventors Congress, is a non-profit corporation dedicated to helping people with new ideas achieve their greatest potential. My big question is this. Just what is so bad about the USA that we need to make big changes. A good friend of mine got so angry with me during a discussion that he pushed me over, out of my chair, and we both fell to the ground. Only a good friend would do such a thing. It was a learning moment for me, and his point will never be forgotten. One of the strengths of our two party system in the United States is that we regularly engage in full out, open debate. It has been this way from the very start of our country. Only good friends can argue as we do in this country. This kind of vigorous debate is healthy when it starts with self-reflection, what is called in 12-step programs personal inventory. So the big question for each of us this morning is: What is so bad that we need to change? Only with that awareness will healthy growth take place. If this is to continue, it needs to be a conversation. I'd be very interested in your comments on this. Post here, or if you'd rather email your comment to John@JohnWren.com and I'll put it up here tomorrow morning. Our challenge is to recapture the simplicity and wisdom of the dove without losing the cunningness of the serpentine brain. Think of some change that you wish to bring about in your life or in your personality. Are you attempting to force this change on your nature through effort and through the desire to become something that your ego has planned? That is the serpent fighting the dove. Or are you content to study, observe, understand, be aware of your present state and problems, without pushing, without forcing things that your ego desires, leaving Reality to effect changes according to Nature's plans, not yours? Then you have the perfect blending of the serpent and the dove. Take a look at some of those problems of yours, those changes you desire in yourself, and observe your way of going about it. See how you attempt to bring about change-- both in yourself and in others-- through the use of punishment and reward, through discipline and control, through sermonizing and guilt, through greed and pride, ambition and vanity, rather than through loving acceptance and patience, painstaking understanding and vigilant awareness. Anthony de Mello, The Way to Love. ONLINE CONVERSATION TO ENCOURAGE READERSHIP OF THE PRINTED WORD. Last Friday was the start of this new dialog here on JohnWren.com to encourage a year of reflection about the impact of the September 11, 2001 terrorist attack, the 8 years since then, and the vital importance for citizens to read the printed version of local newspapers, magazines, and books and to engage in face-to-face discussions. I will post my thoughts here each morning Monday through Friday and encourage you to post your comments. If you'd like me to speak at your book club, library, or bookstore about what we are doing, contact me at John@JohnWren.com or (303)861-1447. After talking with some of my friends, I’ve decided to go ahead with this. The idea is to have a year long online dialog about the personal effects of 9/11, and the changes that have been brought about in each of us since then. The Internet now makes this kind of world-wide conversation possible, it’s an amazing tool. Writing something and getting immediate feedback from around the world opens up huge possibilities for human advancement. But the Internet is no substitute for reading the printed word and discussing what is read in face-to-face dialog. I’m encouraging local papers to direct their readers to this conversation, and for their readers to connect us to their efforts to move the conversation of our global village from talk radio to thoughtful reading and discussion. I look forward to our conversation here online each morning. 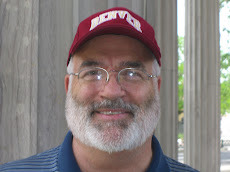 John Wren created the first online business bulletin board in Denver on Denver Freenet. He is a business consultant, adult educator, and community activist. He is the founder of the IDEA Cafe, Franklin Circles, Denver Socrates Cafe, the Denver Startup Forum, Denver Speakers Corner. 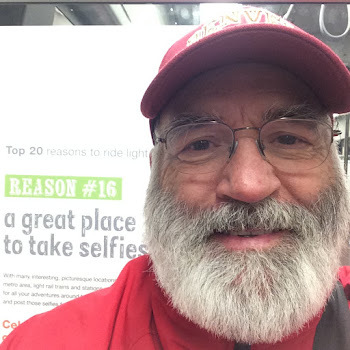 He is a graduate of the University of Denver (BA’69, MBA ’78) and has served on the board of directors for the Denver City Club, the Denver Lions Club, and the South Denver Optimists Club. He was the founding President of the Rocky Mountain Direct Marketing Association. He has worked as a house wares buyer, human resource manager, small business owner, stock broker, advertising salesman, and sales manager. He has been on the staff and a columnist for local newspapers, and he is the author of DARING MIGHTY THINGS—THE SIMPLEST WAY TO START YOUR FIRST (OR NEXT) NEW BUSINESS. He can be contacted at John@JohnWren.com or (303)861-1447.